Admiral Harry Harris was in South Korea to observe annual joint military drills with the South Korean military, which the North called a step towards nuclear conflict masterminded by the U.S. and South Korean "war maniacs". South Korea: The head of the U.S. military's Pacific Command said on Tuesday it was more important to use diplomacy to counter North Korea's missile threat rather than consider what actions by the reclusive North might trigger a preemptive strike. "So we hope and we work for diplomatic solutions to the challenge presented by Kim Jong Un," Harris told reporters at a U.S. air base in South Korea about an hour from the capital, Seoul, referring to the North Korean leader. He said diplomacy was "the most important starting point" in response to the North's threat, when asked what actions by North Korea might trigger a preemptive U.S. strike against Pyongyang. "As far as a timeline, it would be crazy for me to share with you those tripwires in advance. If we did that, it would hardly be a military strategy," he added. North Korea has pursued missile and nuclear tests in defiance of U.N. Security Council resolutions and ignored all calls, including from lone major ally China, to stop. It justifies its weapons programmes by pointing to perceived U.S. hostility and regularly threatens to destroy the United States. The United States and South Korean began long-planned joint military exercises on Monday called the Ulchi Freedom Guardian, which the allies have said were purely defensive and did not aim to increase tension on the Korean peninsula. The drills end on Aug. 31 and involve tens of thousands of troops as well as computer simulations designed to prepare for war with a nuclear-capable North Korea. 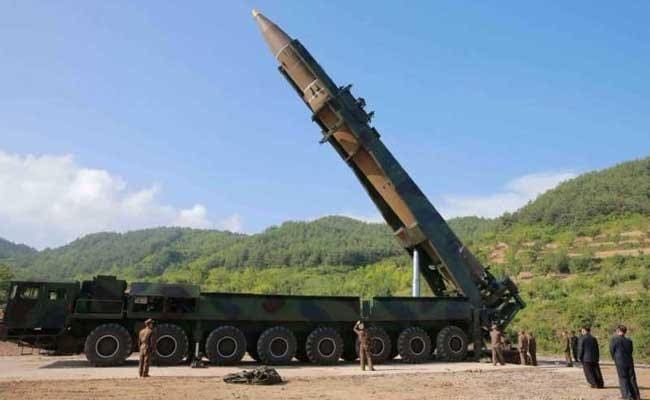 A North Korean Army spokesman repeated the threat of undisclosed retaliation against the United States for readying a preemptive strike and a war of aggression, using the drills as an excuse to mount such an attack. "The U.S. will be wholly held accountable for the catastrophic consequences to be entailed by such reckless aggressive war manoeuvres, as it chose a military confrontation," the unnamed spokesman said in comments carried by the North's official KCNA news agency. Harris also told reporters that a scheduled "operational pause" by the U.S. Navy's fleet worldwide would not affect the military's ability to defend South Korea. The pause was ordered after a U.S. guided missile destroyer collided with an oil tanker in waters near Singapore and Malaysia on Monday.